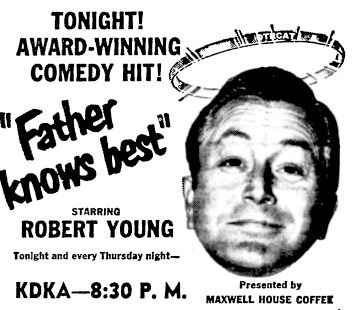 The radio version of Father Knows Best stars Robert Young as Jim Anderson, and was the forerunner to the classic TV show of the same name. June Whitley plays his wife Margaret, with Jean Vander Pyl later taking the role. The kids act very similar to the way they do on the better-known TV show. 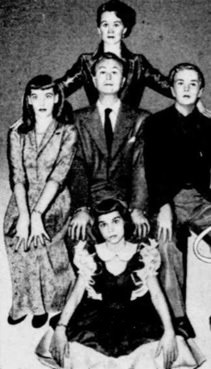 Daughter Betty is played on the radio version by Rhoda Williams, Ted Donaldson plays Bud, and Norma Jean Nilsson is great as the littlest Anderson, Kathy. Of course, to Father, Kathy is "Kitten" and Betty is "Princess." Bud is just Bud. The plots are family friendly, often misunderstandings that get blown out of proportion, generation gap issues or trivial but lesson-inspiring arguments between the kids. Jim Anderson works for an insurance company, but this is little more than background, since the stories invariably begin after Jim enters, saying, "Margaret, I'm home." The sponsor for the three-year run was General Foods. Of course, the Anderson's extol the virtues of the many fine General Foods products drawing a lucid connection between family bliss and consumerism. 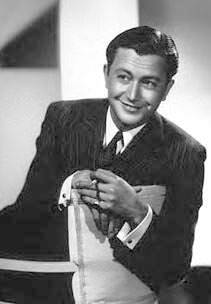 Robert Young appeared in his first movie in 1924, and was in many fine films such as Hitchcock's Secret Agent (1936), Northwest Passage (1940), H.M. Pulham, Esq. (1941) and Crossfire (1947). He had ultimately well over a hundred movies to his credit. In the early 1950s Young had effectively retired from films, Yet on the success of the old time radio show, he welcomed the return to on-screen acting, even if the screen was only 9 inches high! The rest of the TV cast are the ones fans of Nick at Night know and love. Along with Ozzie and Harriet and Leave it to Beaver, Father Knows Best was one of the first and best-loved All-American sweet-hearted family situation comedies. The old time radio show created a loyal audience that were happy to see their show on the "little screen" after hearing it on the radio. More radio family situation comedies are Blondie, The Aldrich Family, The Life of Riley, Ozzie and Harriet, The Goldbergs, Phil Harris and Alice Faye, The Great Gildersleeve, and Vic and Sade. Of course, couple-type family comedies were on radio, too, such as Burns and Allen, Fibber McGee and Molly, My Favorite Husband, and Easy Aces. And of course, there were some funny singles such as Our Miss Brooks, The Mel Blanc Show, Life with Luigi, Honest Harold and Jack Benny. I enjoy my mp3s every night. I am an avid listener of old time radio and try to get others to enjoy it too. My 15 year old granddaughter loves Father Knows Best and some of the other family shows. I think it is important to remember how important radio was to America and pass that along to the younger generation. NBC debuted Father Knows Best on Thursday night. The program aired for five years. 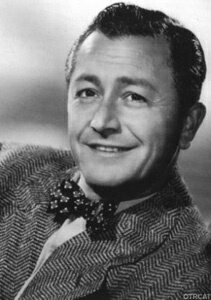 Robert Young played the role of Jim Anderson, the ever patient father. 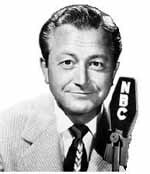 And it continued for many years on television, still starring Robert Young as Jim Anderson. The rest of the family included wife Margaret, son Bud and lovely daughters Betty (the eldest) and Kathy. The family lived on Maple Street in Springfield.